Hello! 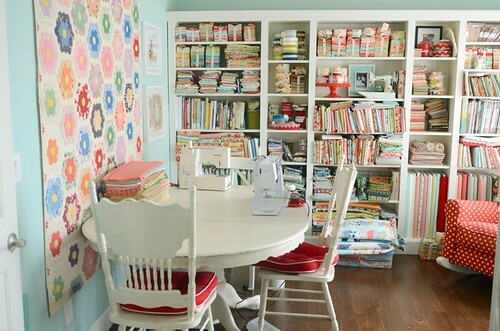 I'm Camille Roskelley, quilter, mom of three boys, one half of Bonnie and Camille and designer of Thimble Blossoms patterns. If you are here new here, welcome! Feel free to make yourself at home. And the not yet quilted half. 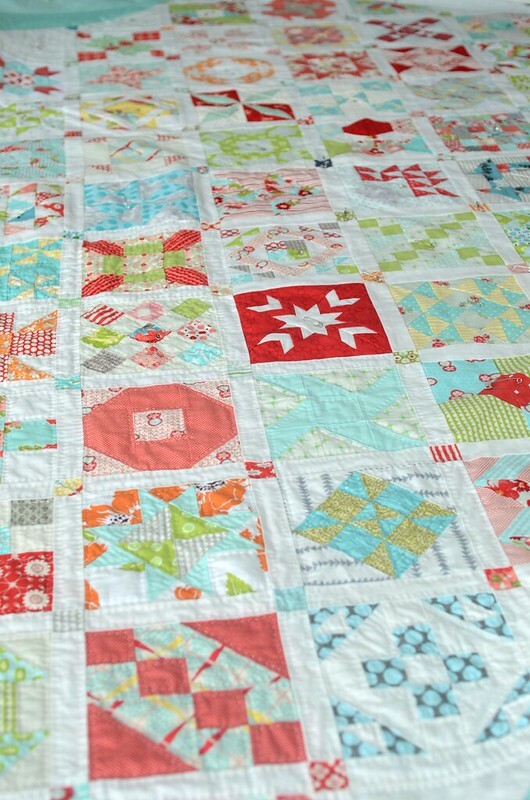 I have to hide this quilt from myself so I'm not tempted to sit and stitch when I should be getting other things done! You've probably already heard, but Moda started something pretty great this week. 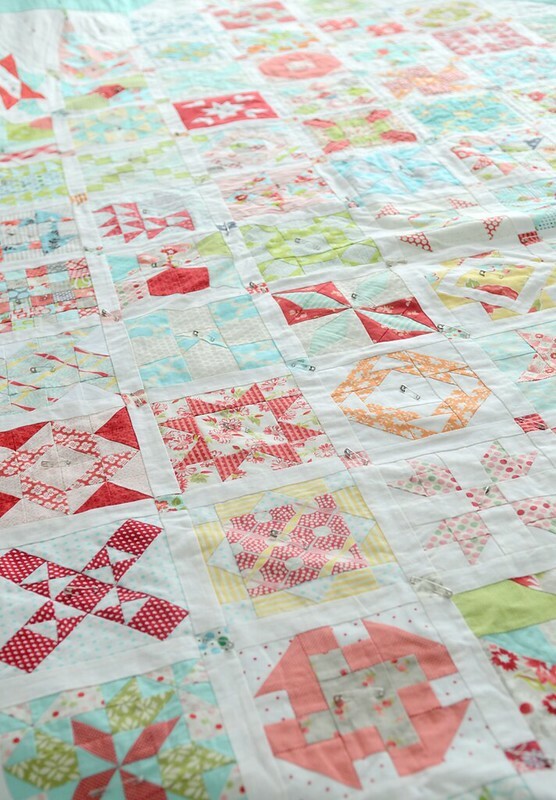 A quilt along! It should be a lot of fun, and by the time you visit all the blogs, you'll have 30 different blocks and a setting all ready to go. Yep, a whole quilt. As you can see, I'm just about ready to start a new sampler, so I couldn't be happier about the timing. The Moda sew along blocks are 9", and I don't believe any of them have templates, so you can just start cutting and sewing. 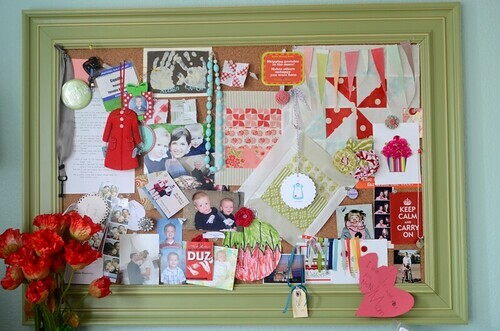 Here's my block, which I am going to make when I have two seconds to spare. 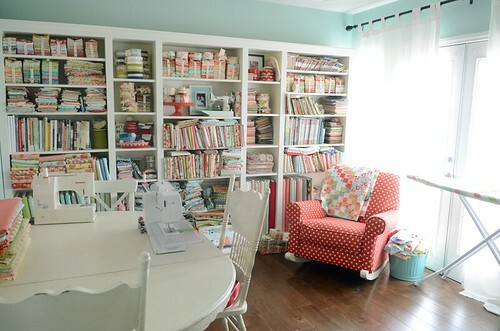 I just returned from a trip to Denver to film a Craftsy class (more on that here) and am running a bit behind so I haven't had a chance to make it quite yet, but I certainly will. 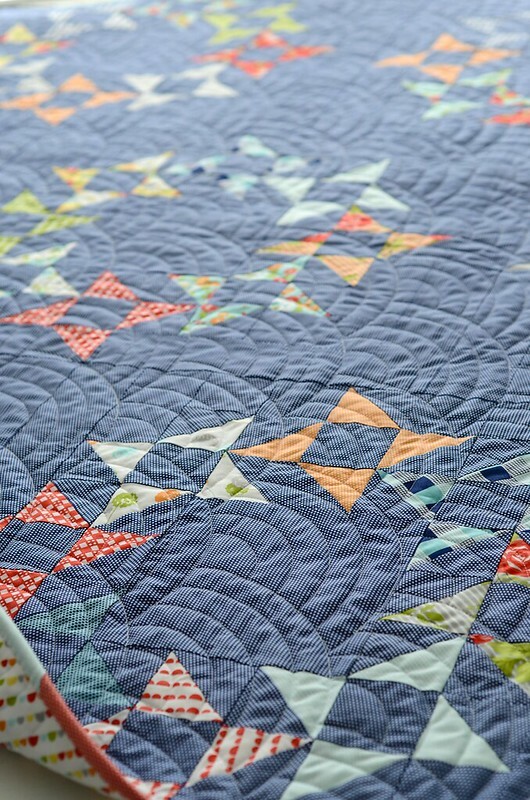 I've had a thing for friendship stars lately, as you may have noticed from my Round and Round quilt, and have a few more things I want to try too. Like a quilt with all teeny tiny friendship stars. Scrappy, don't you think? All I need it is a few more hours in the day and I'm good to go! 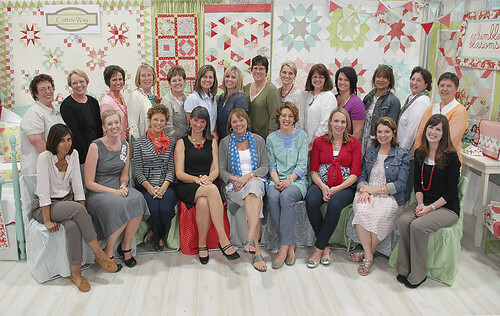 While you are sewing, be sure to watch this video, from Fall Quilt Market where the designers talk about their blocks. I wasn't at Market, which means I'm not in the video, so it's really great. Pretty great huh? A big thank you Moda for organizing the whole thing! In case you didn't hear, Moda has provided some pretty amazing treats as well. 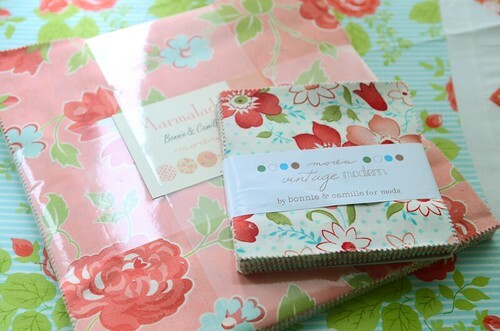 Two lucky winners will receive a Marmalade Layer Cake and a Charm Packs of Vintage Modern. Just leave a comment here with your favorite Thimble Blossoms pattern and you'll be good to go. Comments are closed for this giveaway. See the winners here!